Food waste in landfills is a leading contributor to increase of methane gas (CH4) in the Earth's atmosphere. And over 90% of Americans toss out food because they misinterpret food expiration. Our solution: Eat in Time. It is a simple system that helps track when food items are about to go bad. The user places one sensor in their fruit/vegetable drawer in the refrigerator. They scan his or her grocery store receipt so Eat in Time will know when the perishables were purchased. Then the fruit is placed in the appropriate drawer as usual. As the fruit begins to go bad, Eat in Time will notify you "it's time to eat your fruit" via a SMS message. As fruit and vegetables begins to go bad, they emit higher levels of methane gas. 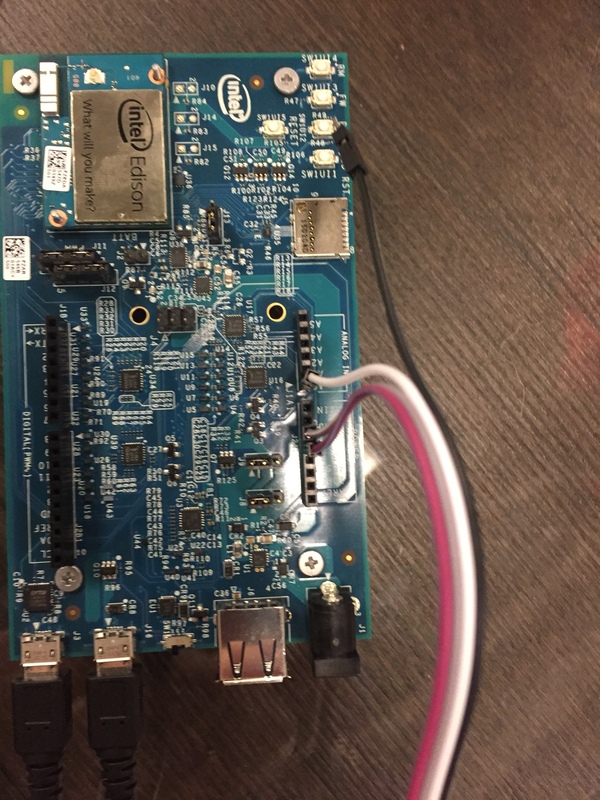 Eat in Time uses Adafruit gas sensor connected to Intel Edison board to detect the changes in the fruit/veggie drawer in the user's refrigerator. The Edison is connected to the AWS IoT Device Gateway. When the sensor readout goes above 100 points AWS Rules Engine triggers a AWS Lambda event to the Eat in Time Application's API endpoint. We also built a React Native phone app to read the grocery store barcode and record when the users placed the perishables. Armed with the alert from the AWS IoT and the date users placed the food in the fridge, Eat in Time triggers a SMS message using the Twilio API.